In a World Cup of campaigns, who took the trophy? A week has gone by, and we’ve finally processed the fact that football did not, in fact, come home. With that in mind, it’s time to get over ourselves and get back to work, so this is the last we’ll speak of it. 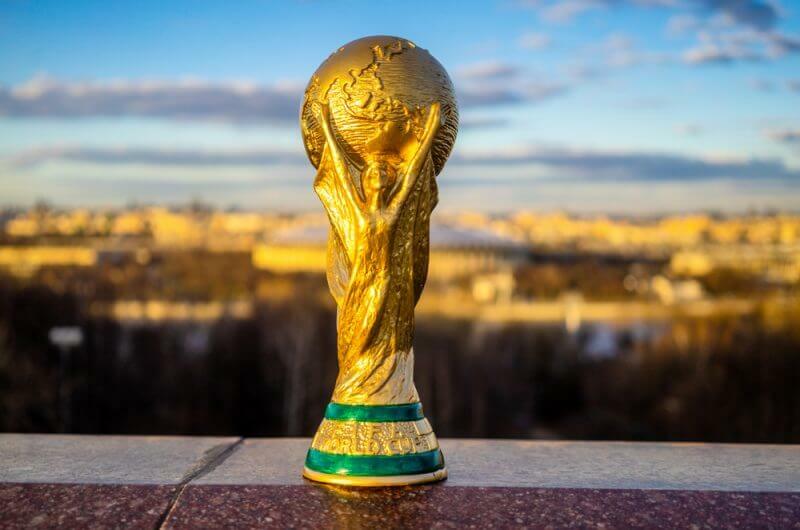 It turns out the World Cup wasn’t just a game of football as international brands went head-to-head in monopolising on one of the biggest sports events in the world. Everyone from fast-food chains to supermarket giants got stuck in, using all the classic tactics to get noticed. There were daily giveaways, as AutoTrader handed out cars every time England scored and Budweiser promised free beer if we came out on top. The Stars Group sent Freddie Flintoff into space (apparently) and the celebrity cameos didn’t stop there. All the famous faces were called up, both old and new. The NHS roped in Peter Shilton and David Seaman for a ‘Save England’ campaign focusing on blood donation, Gatorade was propped up by Messi and Suarez, and Ladbrokes’ followed in the footsteps of many other betting companies by doing whatever the hell they wanted – this time making Brian Blessed ride a Russian bear through a pub. Even Zlatan Ibrahimovic made sure he stayed relevant by pairing up with Visa despite being left at home. But which campaigns were sure favourites to make this blog, and which didn’t even qualify? Mastercard ceremoniously opened up the World Cup campaign debate (and it literally kicked off) with what former England international Ian Wright dubbed as “the worst marketing [he’d] ever seen”. 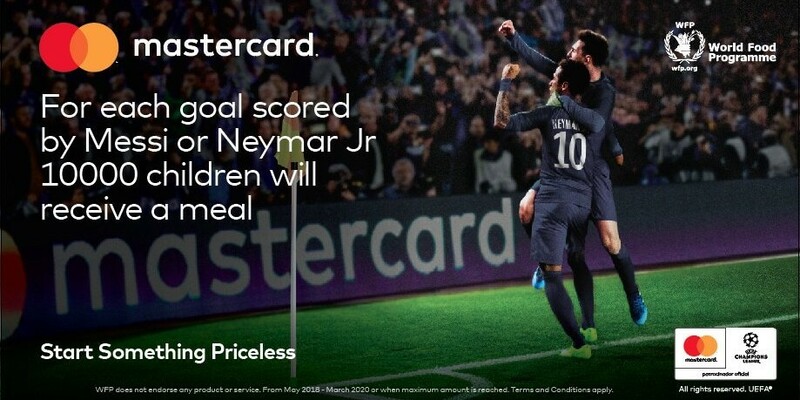 In order to present themselves as the purveyors of social good, they announced that for each goal scored by Messi or Neymar, they’d donate 10,000 meals to children going hungry worldwide. Sure enough, a very vocal backlash meant that the stunt was scrapped before the tournament had even begun, and the two stars ended up only managing a mere three goals between them. Maybe social good would have been the better motivator; clearly, international glory wasn’t prized enough as Neymar completely abandoned goal-scoring and spent most of the time on the floor. 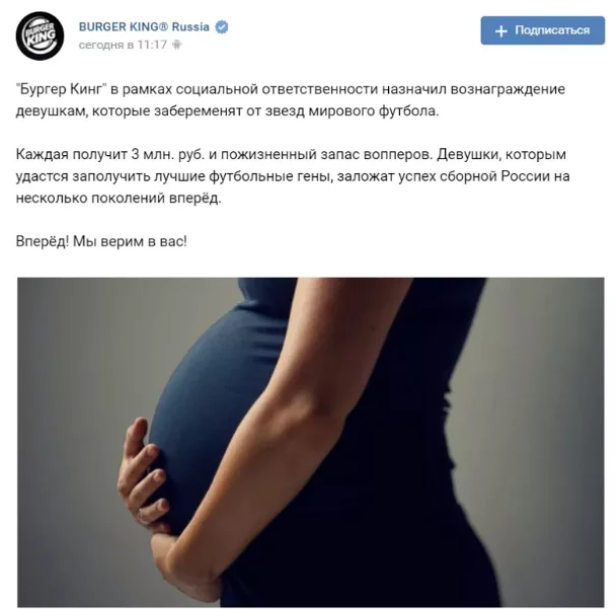 Probably won’t be the first time Burger King and ‘poor taste’ are used in the same sentence. Next up: waistcoats. In real proof that men can actually multitask, Gareth Southgate made up for his Euro ‘96 penalty blunder by taking England to the semi-finals whilst simultaneously making waistcoats cool again. 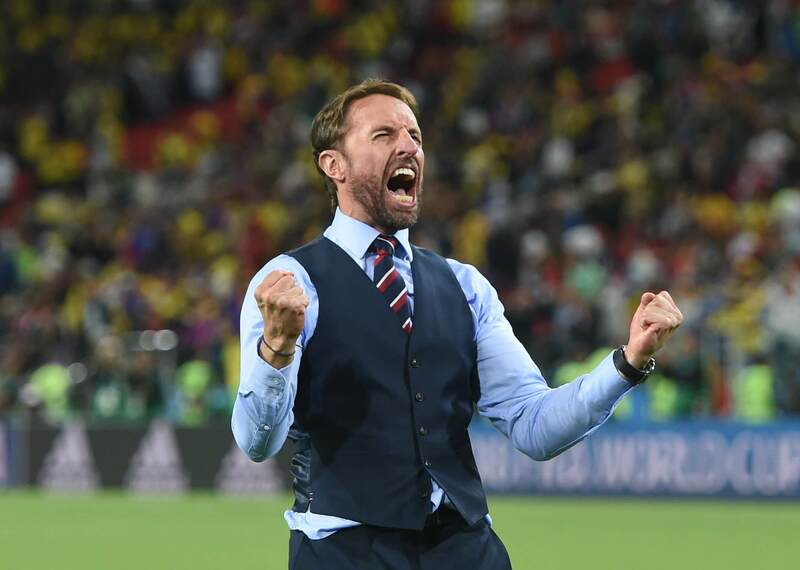 Official England suit supplier M&S saw waistcoat sales double and online searches soar by 100%. #LuckyWaistcoat and #WaistcoatWednesday trended on Twitter, and British Airways jumped on the bandwagon and gave away 300 of the stylish garments to passengers flying on their services. And fad or not, it seems that waistcoats will be around for a little longer as even senior fashion curators at the Museum of London have contacted Southgate in an attempt to add the jacket to their collections. There’s a very smug creative somewhere in Ikea UK headquarters, as the furniture giants proved themselves a good sport. 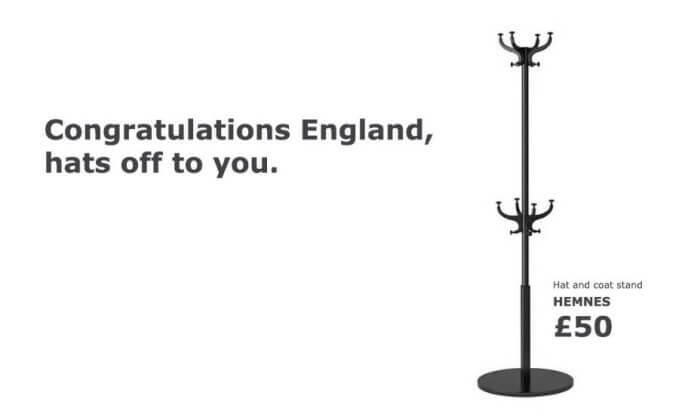 Combining a photo of a hat and coat stand from their product line with the words “Congratulations England, hats off to you”, shameless self-promo was finally okay as they congratulated England on a quarter-final victory over Sweden. The reactive content appeared as they jumped onto Twitter to applaud the Lions and nicely enough, they also discounted fish and chips in their stores. In a similar mark of respect, English fans returned the favour by breaking into and trashing one of their stores whilst beer-fuelled and shirtless. But the real winner this World Cup? Pitted amongst all the Whoppers and waistcoats this summer, a charity came out on top. The National Centre for Domestic Violence penned a provocative campaign titled ‘The Not So Beautiful Game’. 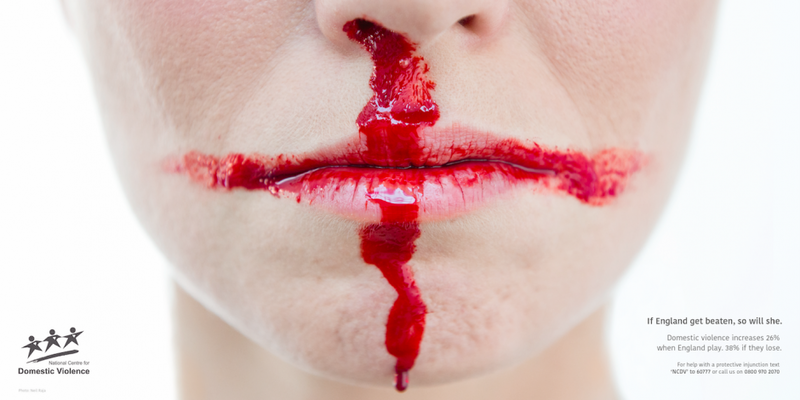 Drawn in blood across a woman’s face, the St. George’s flag was used to raise awareness of the nasty side of football, and is just one example from a set of visceral posters that got the world talking. Black eyes and bruises were also photographed to reference an assortment of other flags. Created by J Walter Thompson’s London in just 10 days, the campaign is a really visually arresting set of designs and executed well too. 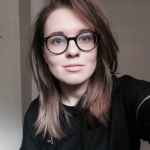 Consequently, the charity has reported a huge spike in traffic to their website, and by delivering it alongside chilling stats such as “when England plays a World Cup match, reports of domestic violence increase 26%”, it got people talking both in person and online, and for all the right reasons too. In a climate where the football-inspired campaigns are just as talked about as the tournament itself, the German national team didn’t even have to worry as Mastercard easily swept up the title for ‘Worst Performance in the World Cup 2018’. And sure, Mbappé had a good run, but did he come up with a thought-provoking domestic violence awareness campaign that stunned the world? Of course, he didn’t, he was too busy kicking a ball about. Amateur.